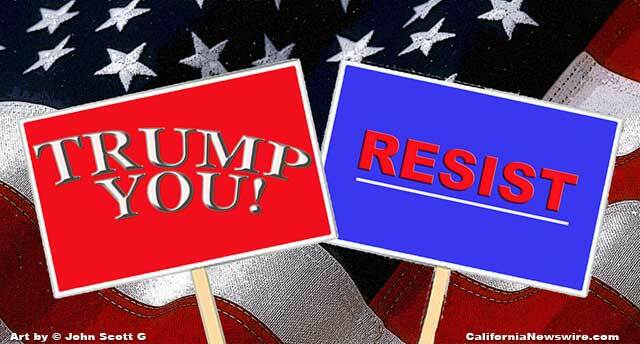 Banners, billboards, placards, posters, buttons, and bumper stickers are part of political campaigns and protests. We talked with a sign printer to see what messages are popular with liberals and conservatives. “How long have you been printing political banners and posters?” I asked. “Yes, and no,” he said. “I can’t help wondering something,” I said. “That’s nothing,” he said. “Look at this one.” He showed me a banner with the letters RWNJDARFF on it. “I don’t know what ‘RWNJDARFF’ means,” I told him. “It stands for Right-Wing Nut-Job Douchebag A-hole Racist Fascist F#@ktard,” he said. “So there aren’t any problems working for both sides of the political spectrum?” I asked.